Cure Kids is an organisation which raises funds to aid research for cures to life-threatening illnesses which affect children. The event was hosted by former All Black, Stu Wilson. Attendees were split into 15 teams, with HP delegates taking first and second place. Ingram Micro corporate social responsibility committee member, Tracey Button, said the goal was to raise $9000 which was expected to come from table sales. "On top of these sales we were inundated by people wanting to buy raffle tickets and buy answers to the quiz questions, which we had no idea would be so popular," Button said. Impromptu challenges contributed further to the fund-raiser, with one attendee offering a $100 donation for a shoe shine from Ingram Micro NZ managing director, Gary Bigwood, who obliged. Another offered $100 to be taught the Haka by Wilson. This was the first year Ingram Micro's NZ arm aligned itself with a chosen charity. The distributor intends to run the event annually and has set a $20,000 target for the 2014 installment. 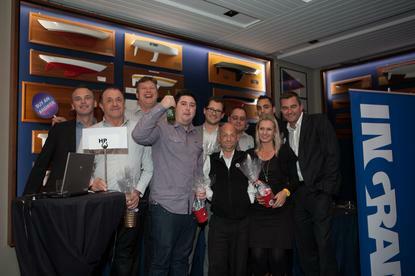 Ingram Micro will also be hosting a charity golf day in November.